Purgers organize exclusive Halloween parties which makes every celebration worthy to remember. Our website development team have designed an elegant website which contains information about their events. It is the responsive website with high-quality functioning and features. Our unique SEO services have enhanced the site optimization and its ranking which have build their strong client base. 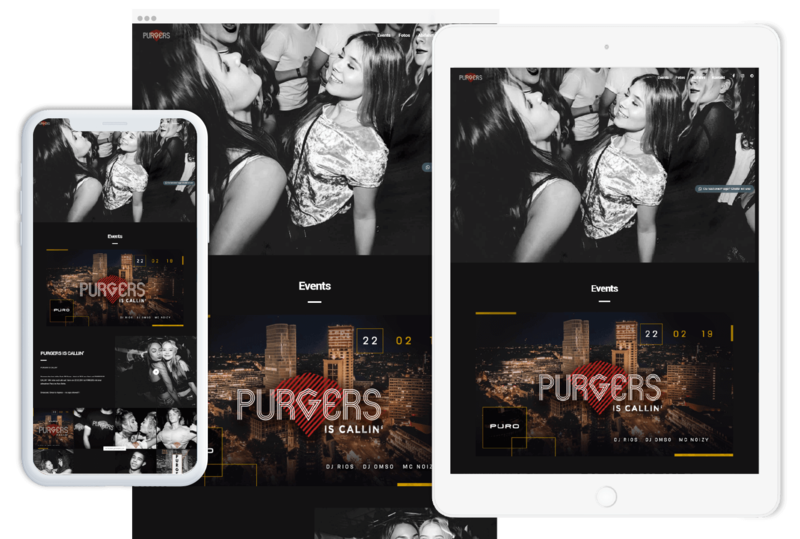 We have highlighted the unique celebration style of Purgers Halloween parties on different social media platforms through our proficient social media marketing team. Through strategic planning, we aim to achieve our social media marketing goals and it helps us to showcase our capabilities and skills while we are working for various companies.